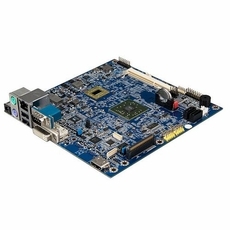 The VIA VB8004 Mini-ITX board combines a choice of 1.2GHz and 1.6GHz VIA Nano processors and the VIA VX900H media system processor, providing a high performance and highly scalable solution for advanced digital signage systems. 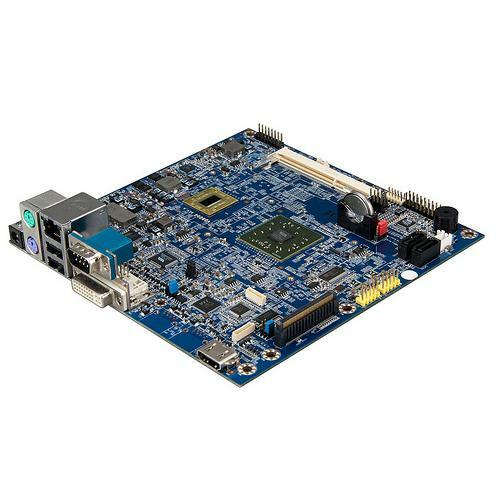 The VIA VB8004 Mini-ITX board features a comprehensive array of on-board I/O, including an HDMI port, one DVI port, a one channel 24-bit LVDS, one GigaLAN port, two USB 2.0 ports, one serial, one PS2 port and two SATA ports in addition to supporting up to 4G DDR3. In addition to providing native support for dual-displays, the VIA VB8004 Mini-ITX mainboard can also be easily upgraded to support four displays using an additional VIA S3 5400E graphics module, providing developers the widest possible variety of multi-display configurations, including HDMI, LVDS, and DVI technologies. The VB8004-A adds in the VIA S3 5400E dedicated graphics module, a daughter card specially designed to provide advanced multimedia capabilities for next-generation embedded applications and is the best-in-class energy efficient DX10.1 GPU on the market today. It is a 64-bit processor that supports the latest display connectivity technologies, a DirectX 10.1 graphics engine, OpenGL 3.1 and shader model 4.1.